We can help you make your special day as wonderful as it deserves to be. 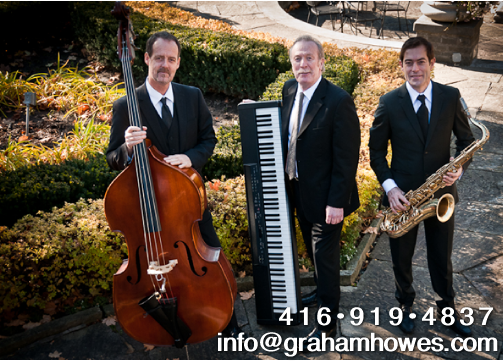 The Graham Howes Trio has been a mainstay in the Canadian music scene for over twenty years. Live Music creates the right mood at receptions. Our light jazz ensemble offers classy, elegant and interesting ambient music. While we perform often as a jazz trio using keyboard/vocals, string bass and saxophone, we also mix perfectly with drums, female vocalist & other instruments as well.